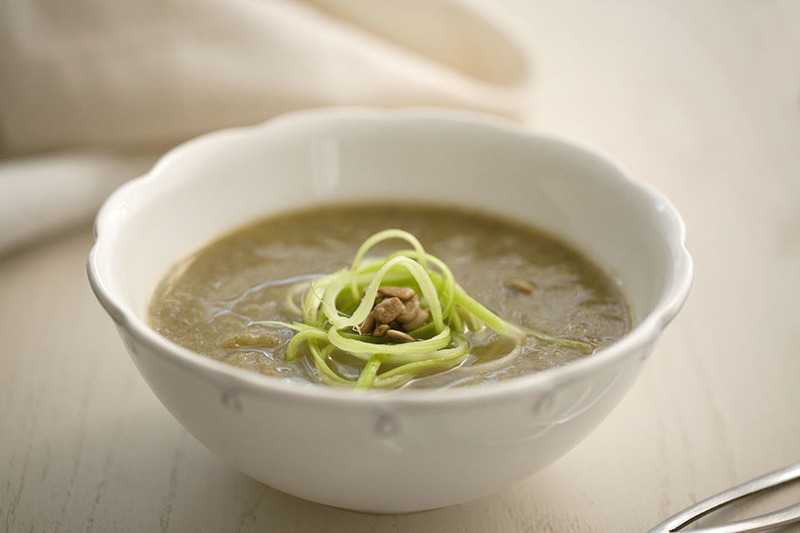 How fun to make a three ingredient soup! Sometimes very simple recipes come out so delicious and of course when you are referring to three vegetables then it also comes out very healthy! Look around your kitchen, do you see three ingredients that would blend together in a soup? Give it a try, from apples to ginger you can't go wrong in most cases. Have fun in your kitchen! 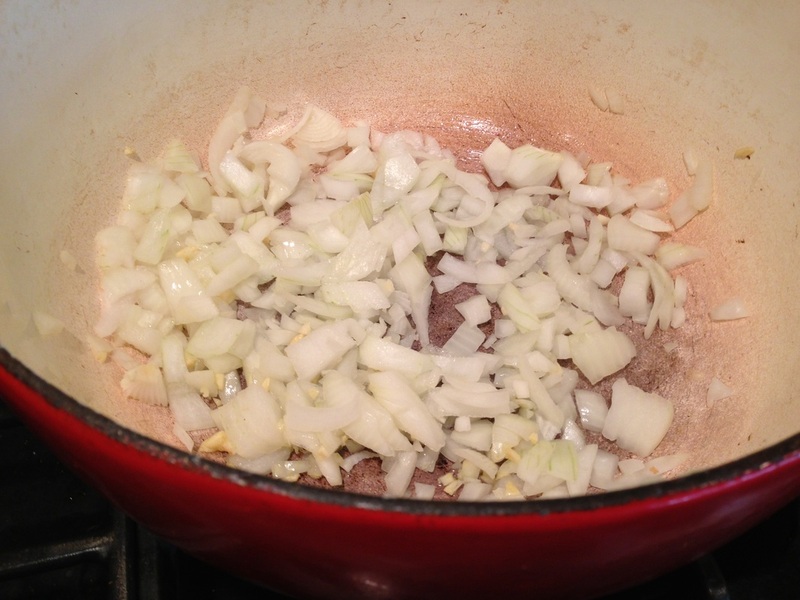 In soup pot sauté onion over low heat stirring a few times so onion does not stick to bottom of your pan for 5 minutes. 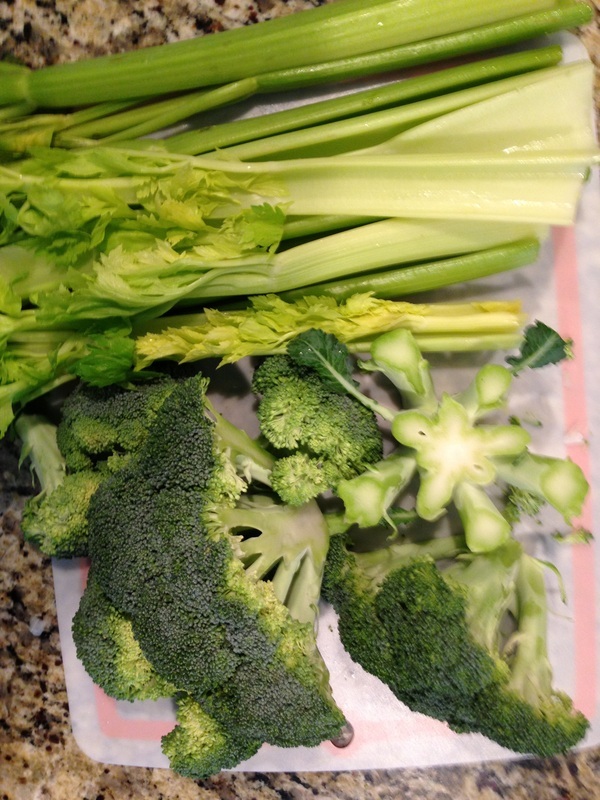 Add broccoli and celery and broth. Cook until all vegetables are fork tender about 20-25 minutes. 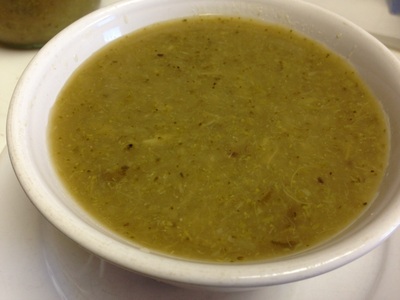 Allow soup to cool and then blend using a food processor or blender. A stick blender may be difficult to use with these ingredients because of the celery but if you are not worried about a smooth soup then by all means use your stick blender. Return soup to pot and heat on low. Add salt and pepper to taste. 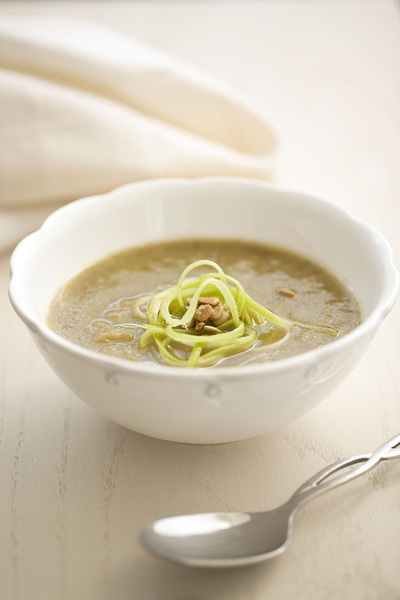 Enjoy this healthy soup warm or chilled. Toppings would be delicious on this soup, chopped avocado, scallions, toasted pinenuts or even a dollop of non-fat plain greek yogurt. Use you imagination and serve this soup the way it sounds delicious to you!